Charlie Miller is Principal Research Consultant at Accuvant Labs and a four-time CanSecWest Pwn2Own winner. Dionysus Blazakis is an expert on iOS and OS X sandbox security mechanisms. Dino Dai Zovi is coauthor of The Mac Hacker's Handbook and a popular conference speaker. Stefan Esser is a PHP security expert and leading researcher of iOS security topics. 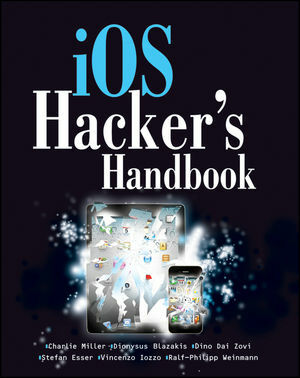 Vincenzo Iozzo is an independent security researcher focused on Mac OS X and smartphones. Ralf-Philipp Weinmann holds a PhD in cryptography and has an extensive security background. Code for Chapter 11 can be found here.